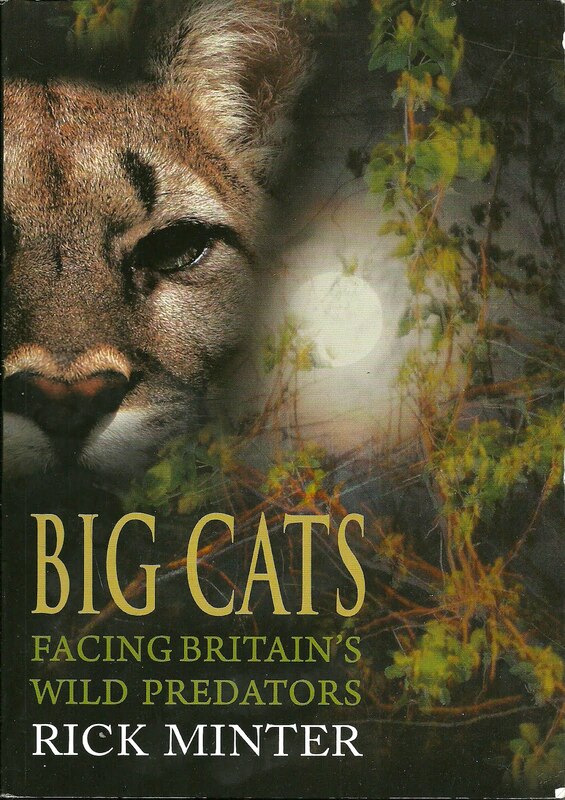 They used to be Alien Big Cats (ABCs), although author Rick Minter's point is that they're no so alien anymore, and our acceptance of big cats as part of Britain's established natural fauna may be imminent. In view of all the evidence presented here and elsewhere, Britain's failure to accept there are big cats among us is a bigger mystery than the mystery big cats themselves. Facing explains how extraordinarily hard it is even to photograph big cats in the wild. Most leopards you'll see in photos live in sanctuaries and are used to seeing humans. And it was only on its second Himalayan expedition, part of an effort costing as much as 'a small house in England,' that a film crew recently managed to shoot the first ever footage of snow leopards in a genuinely wild environment. Never mind the photos, there's plenty of other evidence. Big cat poo apparently isn't that hard to find in the British wilderness, and there are numerous signs of cat kills and traces of their meticulous dismemberment and fussy eating of deer and sheep carcasses. But Facing Big Cats isn't just about cats, it's about us humans and how we'd deal with an official admission that big cats are out there, and what are we going to do about it? Minter examines the implications of British big cats for conservation (his day-job), agriculture and other areas of policy. Particularly striking among the book's numerous colour photos is the one showing Fairfax, an 'extraordinary specimen' of a black domestic cat 'from feral stock', sitting on an antique writing desk, his tail and paws protruding over both ends. Fairfax measured four feet from head to tail. While feral moggies could somehow be reaching gigantic proportions, Minter suggests any next-generation black leopards loose in Britain could be getting smaller. He explains that the 'open savannah' leopards 'popular in zoos' tend to be the bigger ones, while 'wild tropical leopards from Asia are often small animals… under selective pressure to be small,' some only 70cm long, about right for the 'large Labrador-sized' big cats witnesses usually describe. Big Cats - Facing... is beautifully written with much love for the subject and lots of 'Wow! I never knew that' surprises. For example, Minter notes how Britain's otter population crashed almost to extinction in the early 1980s. After that, people reporting otter sightings to the wildlife authorities tended to be ignored, until they gave up reporting otter sightings altogether. Years later, surprised conservation managers announced otter numbers had 'suddenly' recovered. A similar phenomenon may be at work with big cats. There's no index, but the layout and organisation of the coloured-ink sub-headings, checklists and bullet points means you hardly need one, and make this book ideal for 'dipping' into. Jonathan McGowan's display of kills he found that were made by an "Alien Big Cat". Apparently the teeth-marks on these bones could only have been made by a Big Cat. Author's photo from McGowan's display at Weird Weekend 2009, the bones are of deer, sheep, etc.